Sage One Accounting is Pastel’s SaaS – cloud hosted solution. Access your data anywhere anytime with peace of mind. Sage One Accounting is online accounting software with dashboards, graphs and drill-downs to any transaction that you and your accountant can access, 24/7 via the internet. It is easy to use, with no accounting jargon and an intuitive interface that will make running your business a breeze. With all our features and reporting, you can easily manage your banking and cash flow and always know how your business is doing. Because Sage One Accounting is online, you can simply login from wherever you are and start working. 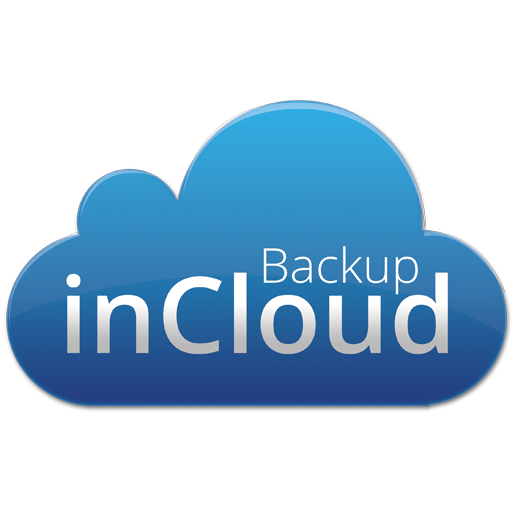 You access your data from the cloud which means that your data is available online, anywhere, anytime and from any device. All you need is an internet connection. We provide setup and support for Pastel Partner and Express Accounting as well as Sage One Accounting, from Vereeniging to your office. For a bird’s eye view of your business, the Dashboard in Sage One Accounting is the quickest and easiest way to get an overview of how your business is doing. Dashboard Widgets can be added or removed to display only the details most relevant to your business. The Drill Down feature in Sage One Accounting lets you look deeper into information that is presented on the screen. This drill down functionality is available on the Dashboard as well as report previews. When working on the Dashboard, for example, you can start by viewing the Sales History graph by month. By clicking on a bar on the graph you will drill down to a daily view of the sales for the month. By drilling down once more, you can view the original invoice. Using Sage One Accounting, you can manage your customers, suppliers and inventory items. As you process, Sage One Accounting keeps track of sales per customer and per item, and purchases by supplier and item. You can create customer categories, supplier categories and item categories to analyse your sales. The Sage One Accounting iPhone* application puts your customer information in the palm of your hands. Log on from wherever you are to view customer information and record notes (which will automatically display in your To Do’s on the Dashboard). Search for customers and contact them straight from your iPhone, using your standard phone or email applications. Find your way to your customer’s offices using the map links and view your customer’s sales history while you are on the go! Sage One Accounting is also available on your Android Device*. For your Android device, you get all the features of the iPhone application plus the option to Process quotes and email these directly to your customers! These applications are available on the Samsung App Store for your smartphone and tablet. Create professional invoices quickly and easily using Sage One Accounting and find out how easy it is to manage what your customers owe you and how to get paid faster. Convert quotations to invoices at the click of a button and use the nifty Use Last Invoice Detail option to quickly and easily generate a new invoice based on the details of the customer’s last invoice. Use the Sage One Accounting Custom Layout Designer to create your own professional, customized invoice layouts. The Custom Layout Designer is a Windows application that can be downloaded and used to design customer and supplier invoice and statement layouts. You create your recurring invoice once, specify the frequency and the invoice detail, and your invoices will be emailed automatically to each customer for you. Or you can save your recurring invoices as draft invoices for individual finalization before sending! The Sage One Accounting message center will alert you to any draft invoices that need you attention after a recurring invoice run. Enable your customers to view their invoices online. Your customers will be able to view and print their own invoices and quotes, and, if you set it up, view their account history with you. You’ll even know when your customers have viewed their invoices! You can manage all your money with unlimited bank and credit card accounts in Sage One Accounting. You can easily and quickly process payments, receipts and bank transfers. Sage One Accounting will even remember which account, customer or supplier to use based on the description you enter while you are working! Set up automatic bank feeds which allow you to automatically import bank statements into your Sage One Accounting bank or credit card accounts from banks and other financial institutions. This saves you having to manually import your bank statements. Each day when you login to your company, any new transactions available in your bank statement will be available for review in the Bank Statements screen. You will save even more time by mapping transactions where Sage One Accounting will automatically assign the correct accounts each time your automated bank statements are refreshed. Managing your bank account could not be easier! Reconcile your bank accounts in seconds and make use of the many reports available in Sage One Accounting to view your banking transactions. Use the Banking Dashboard Widget to display your banks and credit cards, with balances, and a graph of the last 2 months movements. Track how specific areas of your business are performing with Analysis Codes in Sage One Accounting. If your business has different locations, divisions, projects or any other dimensions that you would like to report on or compare to one another, you can achieve this easily. The Sage One Accountants Edition is available for accountants and bookkeepers on the Sage One Accounting Qualified Adviser Program. This edition allows you to view all of your Sage One Accounting clients in one place, making it easy to manage and access. You get access to exactly the same Sage One Accounting functionality as your clients, plus added features to help you manage your clients and tasks. As an accountant or bookkeeper that is registered for the Adviser program, you will have access to the Accountants Edition that will allow searching on company names, contact information for each company as well as display pertinent information such as the financial year end date and next tax submission date. Also included in this edition, is a reminder of any new notes, due and overdue notes. These reminders include notes that are sent by your clients directly from within Sage One Accounting. The My Tasks and My Calendar tabs are designed to help you keep track of the various accounting or bookkeeping tasks that you do for each of your clients on Sage One Accounting. 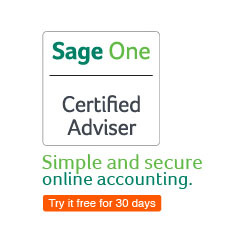 Learn more about the Accountants Edition and becoming a Sage One Accounting Advisor. Mobile Apps for Sage One Accounting! The Sage One Accounting mobile apps put your customer and accounting information in the palm of your hands! Log on from wherever you are to view customer information, record notes, search for customers and contact them directly from your device. Find your way to your customer’s offices using map links and process quotes and invoices – all on the go! The Sage One Accounting iPhone application gives you access to your customer information. You can contact your customers straight from your iPhone, using your standard phone or email applications. You can even find your way to your customer’s offices using the map links. Sage One Accounting is also available on your Android Device. For your Android device, you get all the features of the iPhone application plus the option to Process quotes and email these directly to your customers. These applications are available on the Samsung App Store for your smartphone and tablet. The Sage One Accounting Windows 8 App gives you an up-to-date, bird’s eye view of your business. See your sales and purchases for the day, your bank balances and a yearly view of your sales – this year vs. last year. Add your favorite customers and suppliers and view up to date information on them, check your due and overdue tasks, process quotes and invoices and email these directly to your customers. Sage One Payroll is an easy-to-use online payroll solution designed specifically for start-up and small businesses. Designed with simplicity in mind, Sage One Payroll will give you more control over your payroll processes. You don’t need a payroll qualification all you need is an internet connection! Don’t be apprehensive about complying with basic PAYE, UIF and SDL legislation. Sage One Payroll is fully SARS compliant. 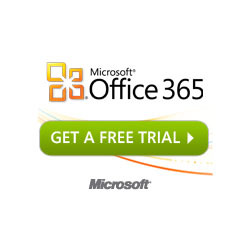 At the touch of a button, you will comply with even the most complex legislation. You can rest assured that your employees will be paid in accordance with the requirements of legislation and statutory bodies such as SARS. Not only can you pay your employees online, you can also process leave online, anywhere, anytime! Manually recording your payroll journals in your accounting application is a thing of the past. With the Sage One Payroll integration tool, you’ll be able to automatically post your payroll journals to Sage One Accounting.